In order for a local business to be able to compete in terms of search engine visibility and rankings, it has become important to manage a broader scope of its online presence. A business that provides local services or sells products locally must go beyond the typical SEO strategies of website content creation and the obtaining of traditional backlinks pointing to their website in order to show up prominently on the first page of search results. Online business listing management is now an absolute must for local businesses to add to their internet marketing endeavors, as a holistic approach to gaining the trust and authority needed for enhancing their search engine rankings. What are Online Business Listings? Online business listings (or ‘citations’) are mentions of a business name, address, or phone number (NAP) online. It can be all three components displayed together, or perhaps two of the three included somewhere in a webpage. These mentions of a company NAP are most commonly found in internet yellow page (IYP) directories, such as Yelp, BBB.org, Angie’s List, etc) where they contain detailed and structured information about a company such as the full name, address, phone number, hours of operation, business description, categories, website URL, etc, etc. However, a NAP citation can also be in the form of a simple, unstructured mention of a company’s name and address in a blog post or the inclusion their name and phone number in a niche forum thread. It is very important that these mentions of the business NAP contain current and correct data, so as to not confuse the search engines nor potential clients searching for your company. If a business has moved locations or changed their name over the years of operation, they will be in great need to update old listings on internet yellow page venues. 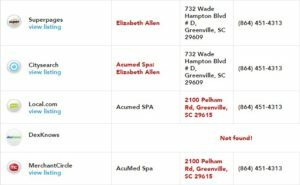 However, even without moving or name changing, many IYP venues can have incorrect or outdated NAP data for a local company. It is also common that phone numbers owned by a new business may have been used in the past by another company that is now out of business. The manner in which old data is collected and compiled by aggregators or scraped by business directories from outdated publications can also cause data conflicts in your own company’s IYP listings. 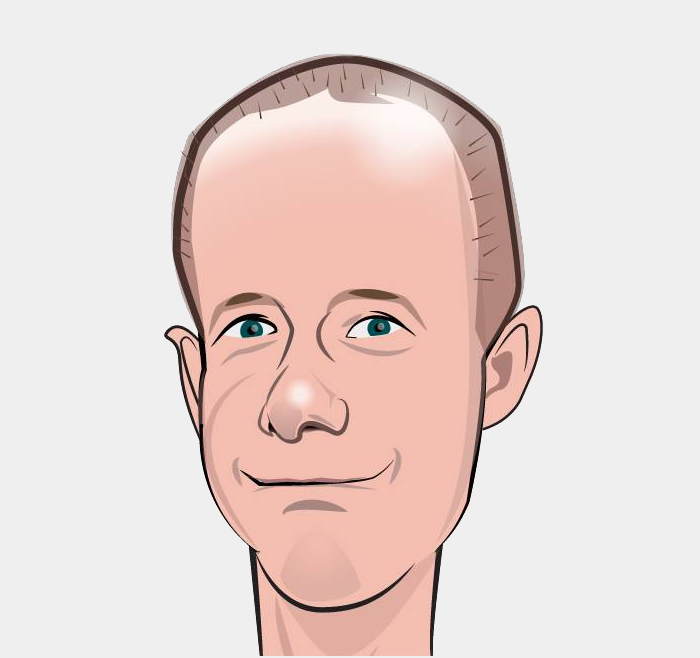 Business data aggregators are continually vying to provide ‘better’ databases, whether they are more accurate, have newer data, or have different information than the others in order to compete with each other. They take data from a large variety of online and/or offline sources. For example, government records, old utility bills, State business registrations, printed trade publications, mobile smartphone user input, misc. webpage content, etc, etc can all be harvested by these aggregators. Thus, it is important to provide the proper information to as many primary data sources as possible on a continual basis. The correctness of your NAP listings is of utmost importance, since a search engine that sees conflicting business information may choose to not trust your company as much as a competitor. However, other factors that affect search engine rankings are the overall quantity of citations found online. The completeness of those listings and the quality of the listing venue are also very important in order for a search engine to determine how they should rank a company in the search results. Having many correct, complete, quality citations is the first step, but, it is also important to fully optimize the content of your business’ listings to obtain maximum ranking potential. They should be full of descriptive information about the company. Items such as a solid business description and properly chosen categories, are near the top of the list. Hours of operation, a logo, payment methods, links to social media profiles, etc, are also vital to include in each listing across multiple IYP venues. The number of NAP citations that a business has should increase over time, so it would be advantageous to look for quality venues to list your company where it is not yet listed. In terms of quality, Google may favor listings on Yelp or CitySearch over ‘List-Your-Business-Free.com’, for example. At a minimum, your website should display your business name, address and phone number on your ‘contact us’ page. However it is common practice to include this information on every page of a local business website. A good way to implement that is to include your business NAP in the footer template of your website. It is recommended, however, to go beyond just the copy/paste of a regular old block of text and encode the NAP information with a special markup code (such as ‘schema’ or ‘microdata’) so that search engines can better understand the data. With this data markup, there is no doubt as to exactly what information is being provided. A storefront photo can be helpful to beef up the contact us page, as well. 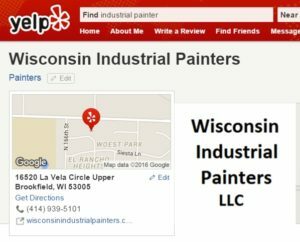 It is important to include a link to your verified G+ Local (Google My Business) page as well as embed the Google map of the business POI (rather than just a map of the raw address). Depending the type of business one runs, gaining reviews can be like pulling teeth at times. People love to review restaurants and hotels, but it can be challenging to get clients to review a business to business service. Gaining reviews, however, is very necessary to remaining competitive online. In a similar manner to how the quality and quantity of NAP citations can affect rankings, obtaining reviews from a variety of trusted IYP or review venues can help boost the search engines’ confidence of your company. Reviews are used as ranking signals by search engines such as Google or Bing. 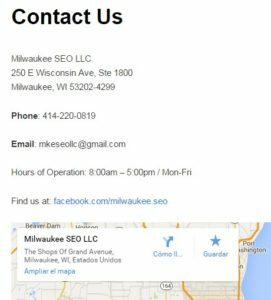 It is widely believed that having a minimum of 5 positive reviews on a Google My Business page (aka G+ Local listing) can improve rankings. Using the text of the review content, the search engines can learn more about your company. They can also detect the overall sentiment of your clients’ experiences from analyzing review content and mentions of a company on social media venues. 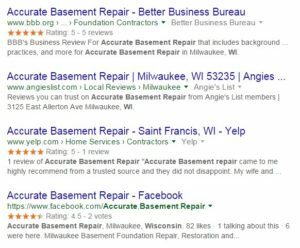 Acquiring reviews will also make you look better in the search engine results pages (SERPs). When someone performs a branded search (for your company name or phone number, for example), internet yellow page venues often show up in the SERPs. The IYP pages that contain reviews can show up with a yellow star rating attached to them in the search results, just lending trust of your company to a searcher even before clicking through to your website. It takes many hours of detail oriented work to properly maintain business listings online. We can help you manage your online presence. With our online business listing management services we will publish your company’s correct NAP data to the most popular IYP venues. We will also attempt to get incorrect or outdated listing data removed by contacting webmasters and following up with technical support as needed. We not only publish your business data to 60+ internet yellow page directories, but we also submit directly to the major business data aggregators for you, which ensures that your correct business data trickles down to their partner venues over time. Since IYP venues are continually receiving mixed data signals from a large variety of data sources (major aggregators are one source, customer/user input is another, while business owner claims is yet another source of data), we constantly monitor your listings to ensure that they have the correct data. Besides ensuring correct listing data, we will optimize them with additional pertinent business information and photos. We will also align your website’s usage of NAP information to comply with local SEO standards. Depending on the overall package level desired, we can also assist you with the process of review solicitation. We will make certain that your company is putting its best foot forward online. Contact us now and we help you look better to your potential clients and gain more exposure in the search engines.